December 11, 2017 York, PA – Analytical Design Solutions Inc. (ADSI) has released new versions of their kiosk system software products, KioWare Classic for Windows, and KioWare for Android. KioWare kiosk software products lock down your device into kiosk mode, which secures the overall operating system, home screen, and usage of applications. 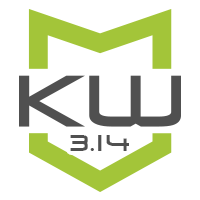 Version 3.14 of KioWare for Android (Lite, Basic, & Full with Kiosk Management) has added customized exit patterns, WI-FI Management options, favicon customization options, new guided setup functionality, screen magnification, and more. 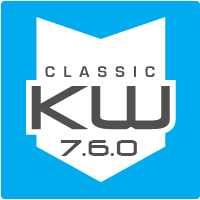 Version 7.6.0 of KioWare Classic for Windows (Basic & Full) includes updates for ScanShell driver’s license scanner, and the ChipDNA EMV Compliance solution. Support must be current to upgrade to the latest version. For a full description of features added for this and other version of the KioWare product line, visit https://www.kioware.com/versionhistory.aspx. All of these products are available as a free trial with nag screen. Existing clients have the ability to upgrade via their online account. KioWare has been providing OS, desktop, and browser lockdown security for the kiosk and self-service industry since 2003. KioWare kiosk software secures your application or website on Windows or Android devices, restricting user access to approved behaviors and protecting user and network data. KioWare is fully customizable and offers solutions ranging from browser lockdown to full server-based kiosk management. From simple out of the box configurations to more complex integrations, KioWare is trusted by developers, IT professionals, marketers, Fortune 100 corporations, and small business owners. The KioWare team is based in York, Pennsylvania, USA with an office located in Reading, UK. Choose the best KioWare product for your self-service project and download a fully functioning free trial at KioWare.com.